To provide musicians with a larger accordion than could be carried conveniently on a strap around the neck, a foot-pedal instrument of ingenious design has been devised and patented by Samuel Sater, New York City inventor. 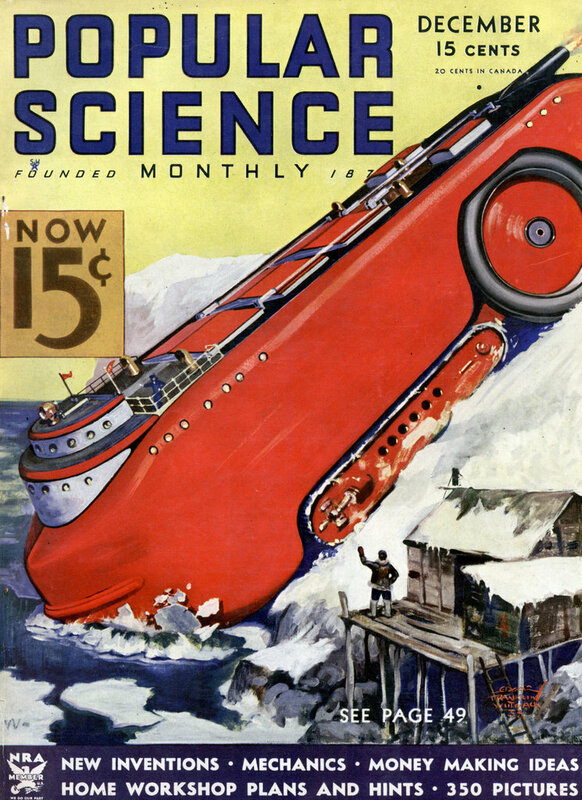 One of its two pedals expands the bellows; the other contracts it. The notes are pressed with the fingers upon a keyboard resembling that of a piano. Removing the front casing, however, reveals that each of the keys, when depressed, opens a valve that allows air from the bellows to pass over a corresponding set of reeds for that particular tone. Readily portable, the instrument is dismantled or set up again in a few minutes, the outer sections folding together to provide a case. 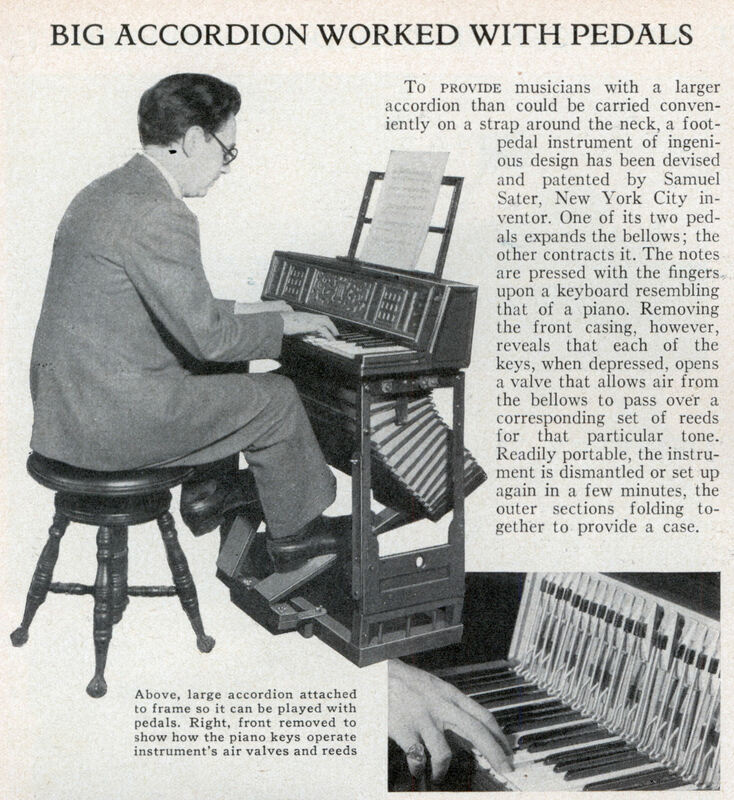 …big accordion with pedals equals small pump organ?